Hi Sherry, yes a content and fluffy little guy. Indeed and just how such a little bird like that make it through a cold winter is something to ponder. All puffed up – sweet shot! Love it! Probably my favorite bird, They are just so adorable. 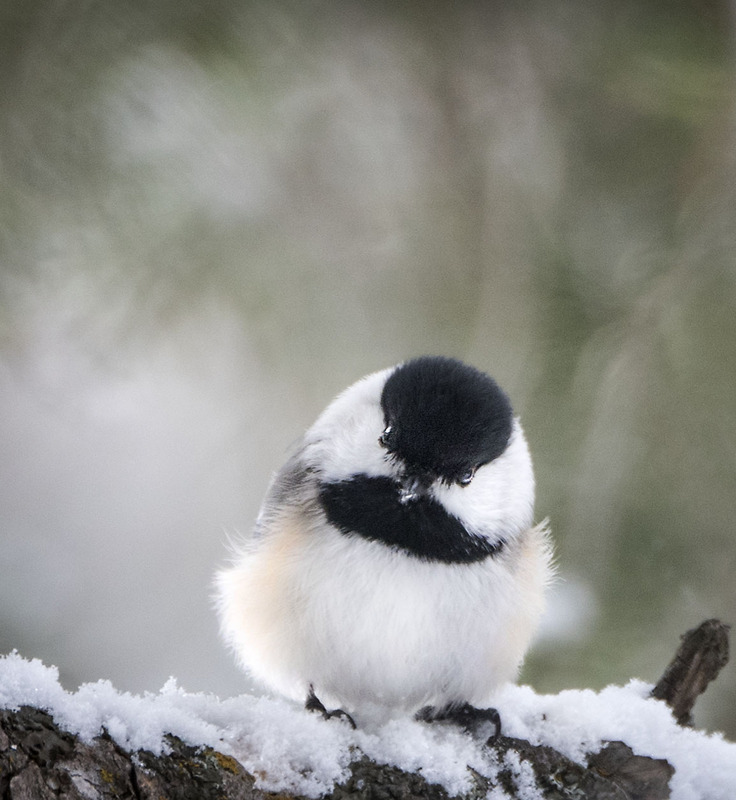 Hi Sarah, Chickadees are just so easy to like. They seem tolerant of humans nearby so you can get to know them easily and just hang out with them when you have the time. Love the photo, What kind of lens do you use? His and thanks for the feedback as we really apprentice it. This was probably taken with a Nikon 70-300mm lens. A nice one to hold in the hand without being too heavy. Thanks Trini, hope your doing well and having a great weekend.